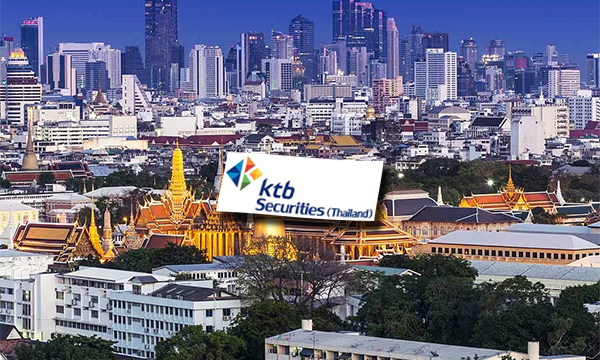 South Korean major brokerage company KTB Investment & Securities Co. is readying to go public in Thailand to become the first Korean IPO on the Thai stock market. According to industry sources on Monday, its local entity KTB Securities (Thailand) (KTBST) has submitted an application for an initial public offering plan to Thailand’s Securities and Exchange Commission with an aim to go public on the Stock Exchange of Thailand in the first half of this year. KTBST is a subsidiary of KTB Investment & Securities holding a 69 percent stake in it. It raised its equity capital to 24.1 billion won ($21.3 million) with about 500 staff. The IPO offerings are in 16,775,000 shares worth 10.8 billion won ($9.6 million). The company is expected to use the proceeds of IPO to expand the investment banking services – in particular debt and equity issuance – and local network, said Kim Jeong-kyu, chief financial officer of KTBST. The company is currently No. 2 debt issuer in the Southeast Asian country. The company also is preparing a larger equity investment in its asset management and real estate investment trust business. KTBST and KTBST REITS Management set up an asset management company named We Asset in June last year. If KTBST makes debut in Thailand, it would become the first Korea-based securities company to be listed on the Thai bourse. Only three foreign financial stocks are now trading in Thailand – Japan’s Capital Nomura Securities, Taiwan-based KGI Securities and Malaysia’s Maybank. KTB Investment & Securities shares rose 4.92 percent to close Tuesday at 3,095 won in Seoul.